When it comes to researching football statistics, there are few better websites out there than Whoscored.com. They’ve got the details of appearances, goals, assists, transfer fees, and basically anything else you’d need to know about the world’s top players. One of their most fascinating features is their player ranking system, based on a variety of different statistics – minutes played, goals scored, passing success rate, and an average player rating for each game. 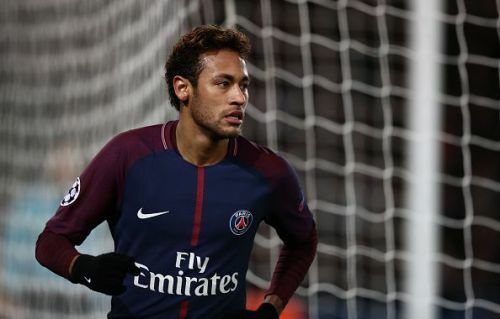 Looking at Whoscored.com’s top 20 is basically like looking at a who’s who of world football – all of the top names are present, from Neymar Jr (currently #1) and Lionel Messi (currently #2) to Kylian Mbappe (currently #5) and Harry Kane (currently #7). There are, however, a handful of surprises. Cristiano Ronaldo, for instance – arguably the world’s greatest player – only clocks in at #41 with an average rating of 7.46 – below Dries Mertens and Iago Aspas. And of course, there are a few surprising names in the top 20 – and here are five of them. Currently sitting in the #3 spot behind only worldwide superstars Neymar and Messi, Lyon’s attacking midfielder Nabil Fekir seems wildly out of place for the time being, but it may well be largely because playing for Lyon – who sit in third place in Ligue 1 and aren’t in the Champions League – he’s flying somewhat under the radar. If Arsenal have their way however and he joins them in the January transfer window, then his stock may suddenly shoot up. Fekir is clearly talented and has been highly praised by French legends Didier Deschamps – who has called him into the French national squad and handed him his international debut in October – and Zinedine Zidane, who reportedly considered signing him for Real Madrid in the summer. And his performances thus far this season have been fantastic – thirteen league goals in sixteen games speaks for itself really – it’s almost Mbappe-esque. 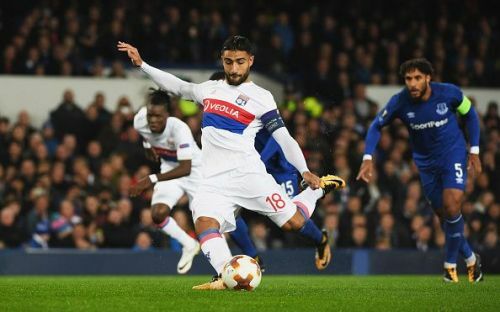 It may well have been the case that Fekir was simply rusty last season – he was looking like one of Europe’s top prospects a few years back, but then suffered a severe knee injury that sidelined him for most of 2015/16. But he’s no stranger to controversy – despite being named Lyon’s new captain, he was banned earlier in the season for a nasty incident that saw him taunt rival fans from St. Etienne, causing the game to be stopped for over 40 minutes while the crowd were calmed down. If he can keep up his current form, though, he’ll be one of Europe’s must-watch players in 2018/19.